According to reports, Chelsea superstar Eden Hazard has agreed a bumper £270k-a-week, five-year deal with Real Madrid. Is Hazard finally set to join Los Blancos? According to Spanish outlet Sport via OK Diario, Real Madrid manager Zinedine Zidane has wasted no time preparing for Los Blancos’ future and he’s already been in contact with Hazard. 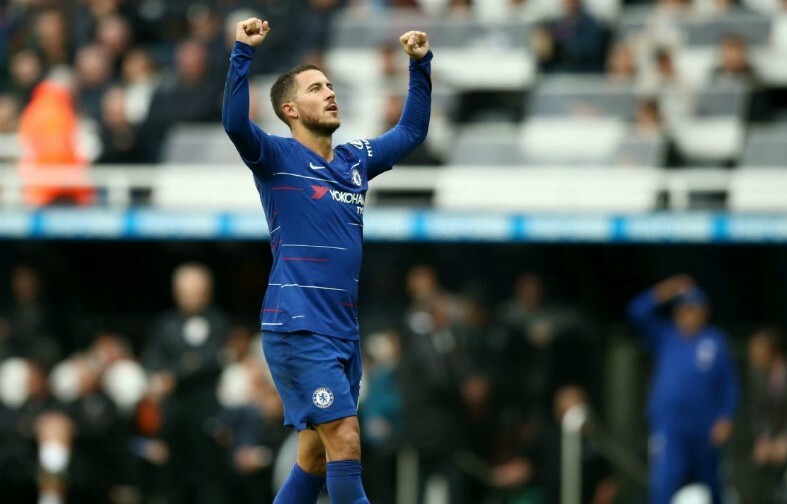 It’s understood that Hazard has agreed a move to the Spanish giants this summer and Zidane’s return is thought to be a key factor behind the Belgian ace’s decision. The stumbling block that is preventing a deal from being agreed is Chelsea’s valuation of Hazard. The Blues are holding out for a whopping €114m (£98m) for the star. Eden Hazard looks set to leave Chelsea for a transfer to Real Madrid. The clock is ticking for Chelsea to either cash in on the star, Hazard’s contract with the Blues expires at the end of next season and the west London club shouldn’t risk losing the ace on a free and considering that it’s no secret that he has a desire to play for Madrid – now is the time for Chelsea to come to an agreement with Madrid. Chelsea’s two-window transfer ban could also prevent a deal from being agreed, the Blues can’t afford to lose the star on a free but their is also not much sense in them selling the star, if they aren’t allowed to sign a replacement. This will no doubt be one of the biggest transfer sagas of the summer.